These recipes can add that special touch to any meal, whether it's a cozy dinner for two, family mealtime, or entertaining. They provide a great way to add variety and interest to a menu with minimal effort. Goat cheese is still somewhat of a novelty in the typical day-to-day Western diet, so whether you simply want something "different" for family dinners, or want to serve an elegant meal for guests, goat cheese in one of its many delicious forms can add a special touch to almost any meal. You're sure to find a recipe that will suit your needs, and become one of your favorites — both to eat and to serve! You may also be interested in learning more about the properties and varieties of goat cheese. 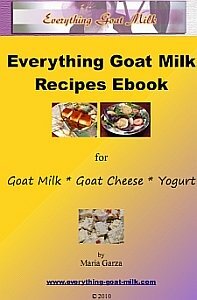 Share your goat cheese recipe and view other visitor-submitted recipes! Surprise your family with an elegant goat cheese souffle that's easy to make. The combination of savory herbs and delicious goat cheese makes this souffle a delightful addition to any meal. This warm, creamy spread makes a great appetizer with crackers, or team it up with a bagel for breakfast or a snack. The delicious aroma of pungent spices, together with the taste of sweet, mellow pears and creamy goat cheese makes this dish an all-around favorite! The mouth-watering combination of fresh greens, sweet fruit, warm, creamy goat cheese and an onion vinaigrette makes this salad an unforgettable event! The combination of both soft and hard goat cheeses tossed with cucumbers, tomatoes and other flavorful ingredients makes this cold, refreshing salad a unique addition to your meal. This dressing is made with goat milk blue cheese and buttermilk for a creamy, delicious topping that is great for salads, and is especially good with sweet, ripened tomatoes. Fajitas with the velvety smooth texture and heavenly taste of fresh, warm goat cheese. Enough said! 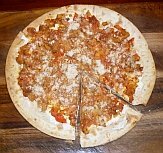 Love pizza, but tired of the same old pizza toppings? These goat cheese pizza recipes will add zip to your next pizza dinner! These goat cheese quesadilla recipes are easy and delicious. Serve in pieces as an appetizer, or use for a meal. Goat Cheese Appetizers are a wonderful way to start a meal or a party. These ideas will show you how to use goat cheese to tantalize the taste buds! These recipes will give you exciting new ideas for a simple, yet scrumptious platter or introductory dinner course. Check out these dessert recipes for a sweet ending to any meal! Marinated cheese is as beautiful to look at as it is delicious! Use your fresh or marinated goat milk feta to create this star accompaniment to your meal--or, as a meal by itself! Do you have a great Goat Cheese Recipe to share? Articles are updated frequently, so check back here for any new recipes!